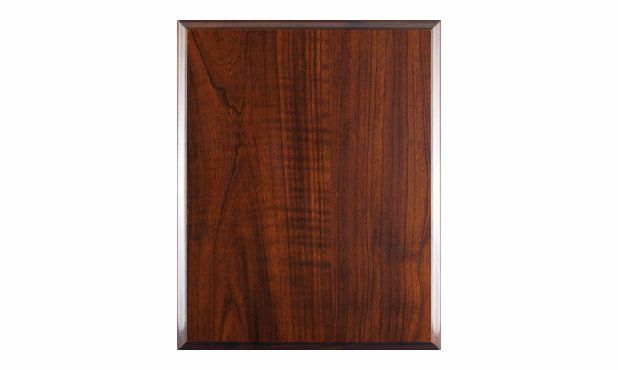 A deluxe grade cherrywood laminate plaque that features a very high gloss finish. Award measures 8" x 10" and can be hung landscape or portrait. Please specify orientation when ordering. Main plate (brushed gold, brushed silver, or white) with one or full colour Polyetch inscription is included in the price. Other options available. Please ask a sales associate for details.